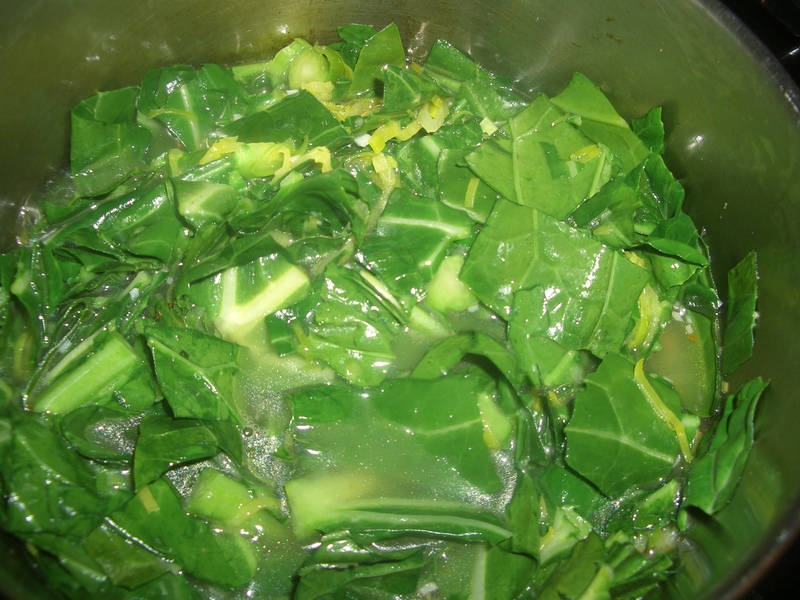 I never really ate collards until I started working on a cookbook for Sylvia Woods (of Sylvia’s Restaurant fame in Harlem). 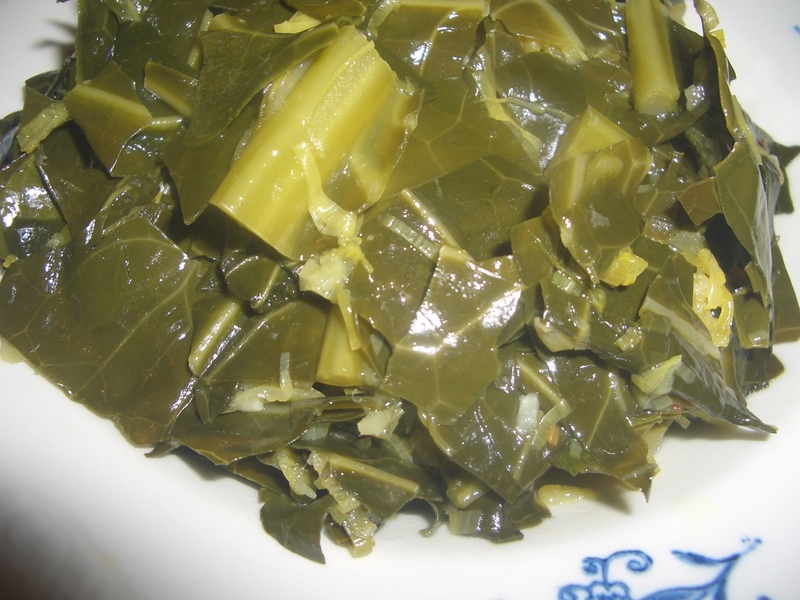 She needed a recipe tester for her book “Woods Family Cookbook” (which is really a great book) so I sat with her at her corner table and when she asked about my experience with soul food I confessed I had none. BUT, I assured her, I was a quick study and once I’ve tasted something I can cook it – and more importantly, create a recipe for it. 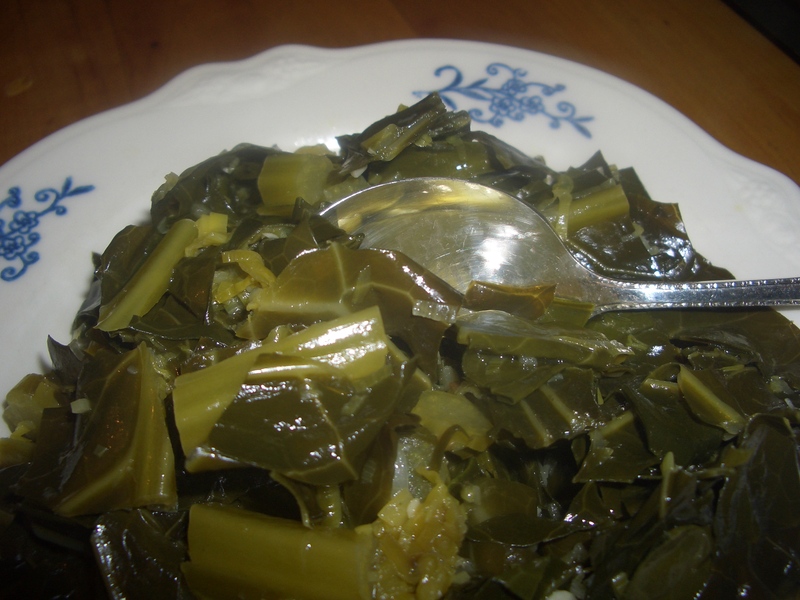 So began a great romance – actually two romances…my love of Sylvia, her husband Herbert and their family and my love of soul food. In her 20’s, Sylvia came up to New York from Hemingway, South Carolina and worked as a waitress in a small diner in Harlem. Eventually she bought the dinner and started to grow the business to the world famous restaurant and catering business it currently is. The recipe development process started with me tasting all the dishes Sylvia served at the restaurant – and culminated with one of the greatest weekends of memory. The theme of the book is recipes from not just Sylvia but also from all her friends and family. I would test a few in my kitchen and then every Tuesday I would go up to the restaurant and Sylvia would taste them and let me know if they tasted “right” or needed more work. After about a month, we (Sylvia and her family, the publisher, the public relations person, and I) boarded a plane for South Carolina and we were off for the weekend. The high point of the weekend was the Sunday lunch at the church where everyone who had submitted a recipe cooked it and brought it with them. I got to get a real feel for what these recipes were supposed to be and who the people were behind the recipes. It was a truly remarkable and memorable experience. I came back to New York feeling like a real member of the family – and what a wonderful family it is. We lost Herbert in 2001 and Sylvia in 2012…but just so you get a sense of who they were…in addition to being wonderful people and exceptional hosts, greeting guests making sure everyone was enjoying themselves; every year on the anniversary of the restaurant, Sylvia’s set up a free buffet right outside the restaurant for anyone in the neighborhood who wanted to eat. 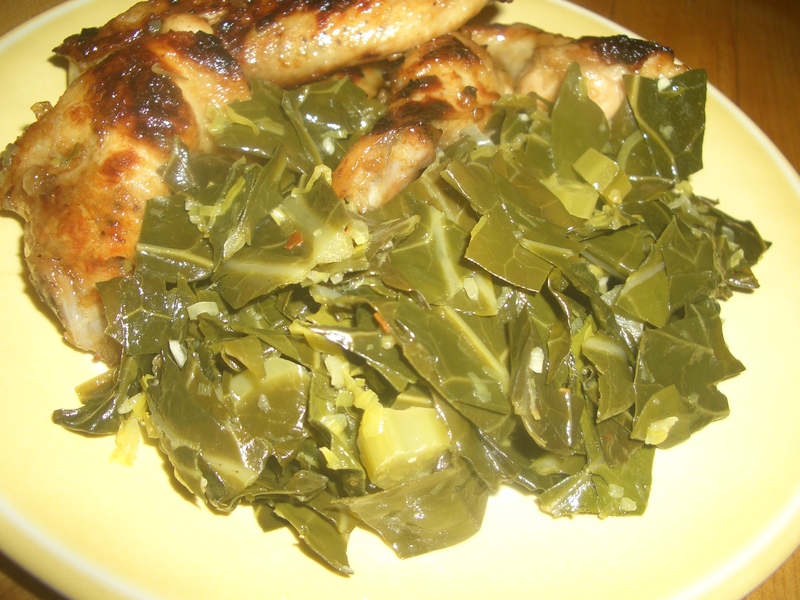 Sylvia prepared her collards with smoked turkey wings for seasoning. 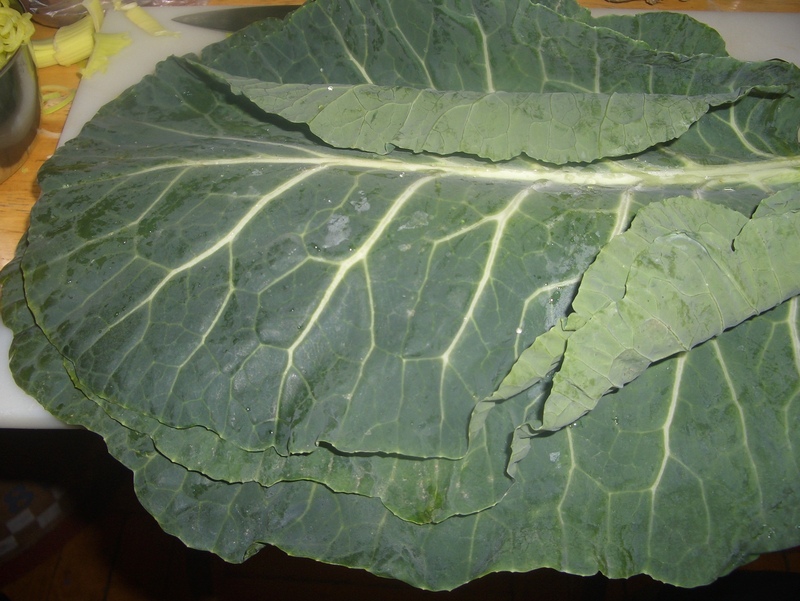 I developed this vegetarian recipe which, although different from Sylvia’s is just as good in it’s own way. Cut through the cigar lengthwise, then rotate halfway and cut again. Do this until the strips are the size you desire. 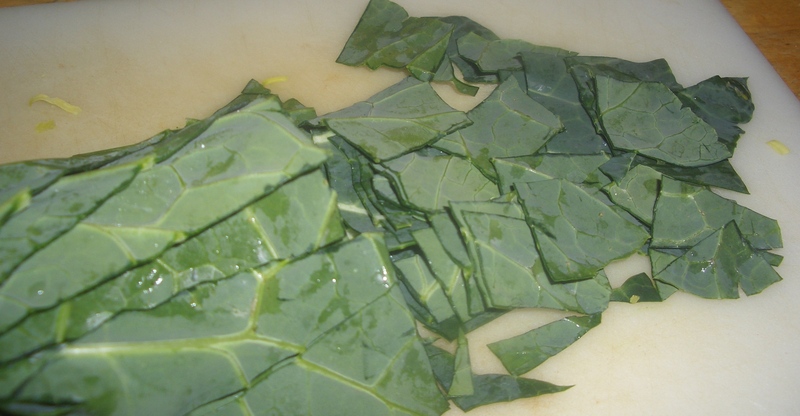 Cut crosswise into desired pieces, then rinse well. In a 2-quart saucepan, heat the oil over medium high heat. 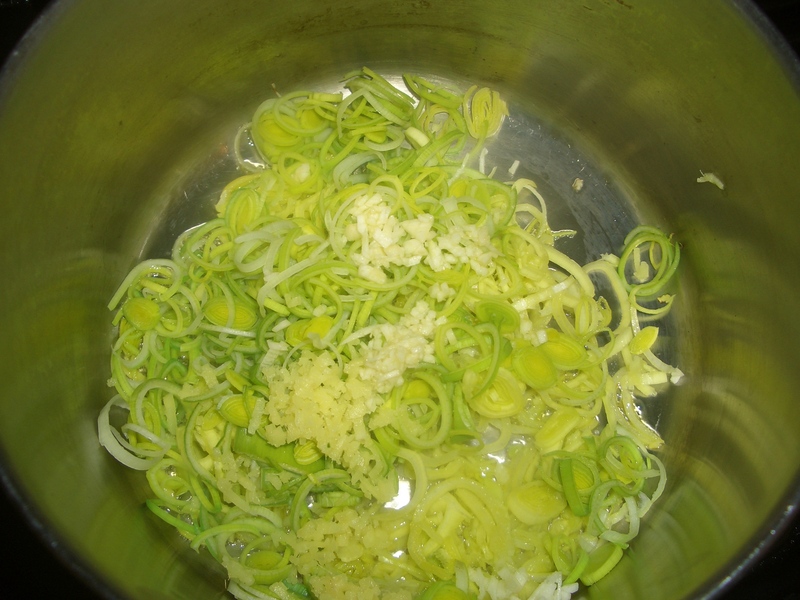 Add the leeks, ginger, and garlic; cook, stirring, until softened, about 2 minutes. 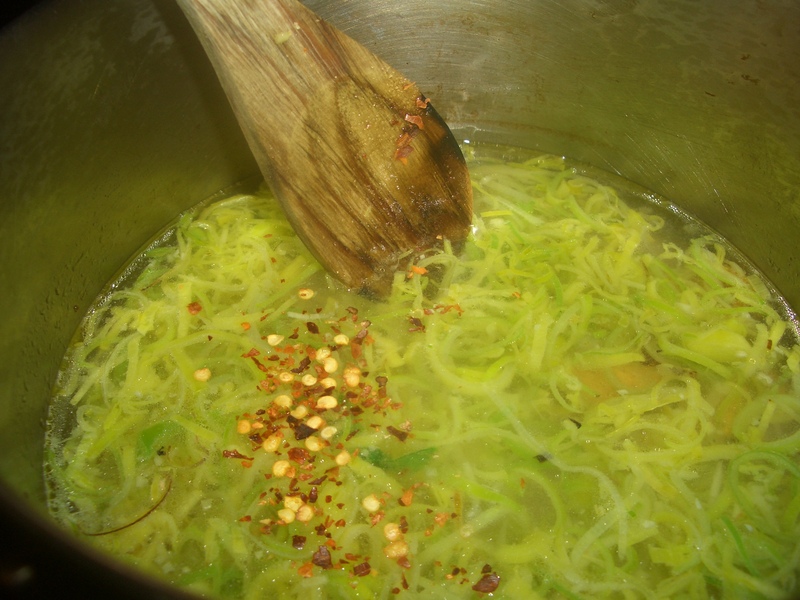 Add the broth, sugar or honey, and red pepper flakes; bring to a boil. 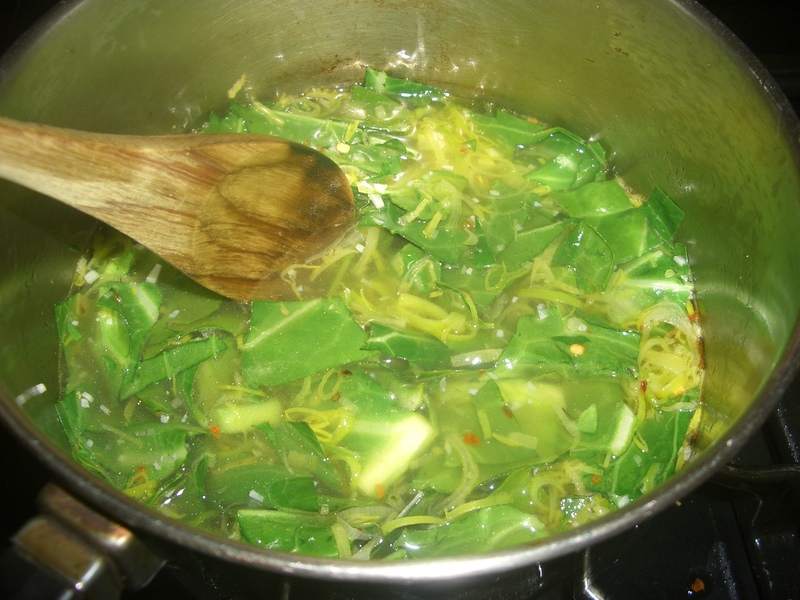 Add the greens, a handful at a time and cook stirring until wilted, then add more greens until all fit into the pot. 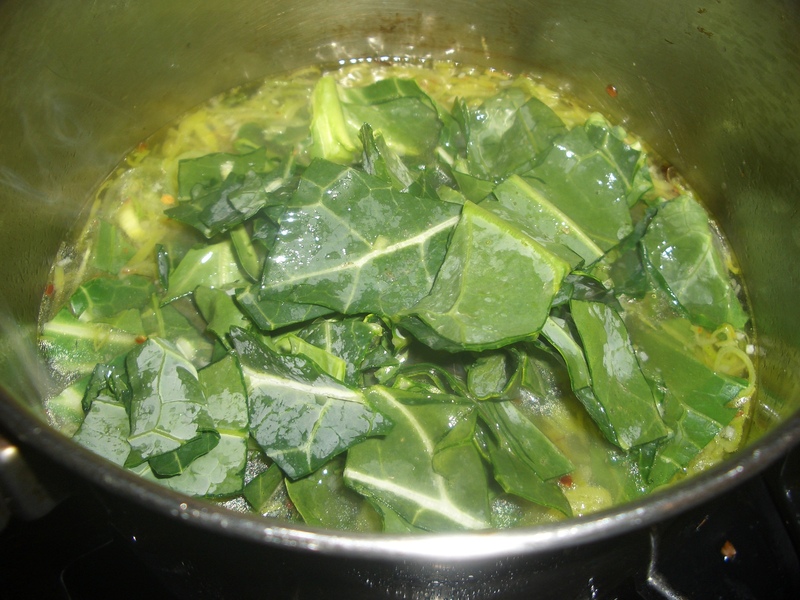 Return to a boil; reduce heat and simmer, covered, 40 minutes or until greens are tender. Place in serving bowl.